Two months after Zoey was born, I wrote a blog post called ‘Re-finding my identity as a new mother’. In this post, I happily asserted that I was “still the same Jess”. As if it was a good thing I hadn’t changed. Nothing to see here folks, I just have a tiny human now. As you were! A useful thing about being a writer is you can look back at what you wrote and cringe – I mean, see how far you've come. Motherhood HAS changed me. I just wasn’t in a place where I could admit that a few months ago. I was too scared. I was scared of losing my identity. I was scared of losing my friends. I was scared of losing my clients. I was scared of losing my freedom. I was scared of becoming a different person and being rejected by everyone who loved “the old me”. I was scared of change. I felt like I had to prove I could become a mother without losing myself in the process. 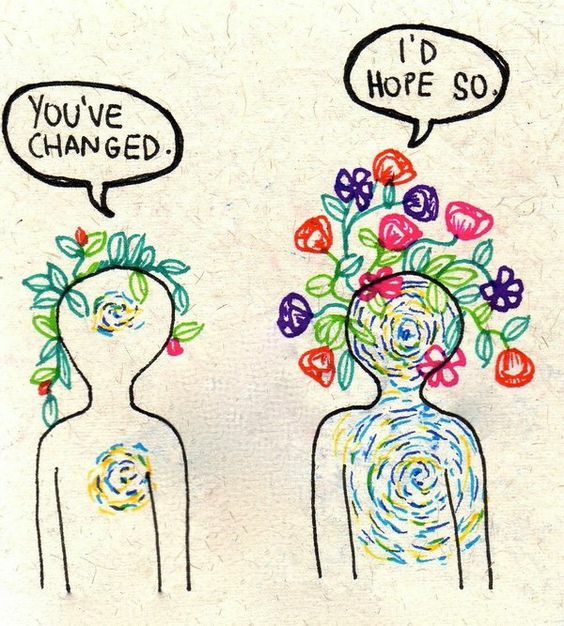 Part of me feels silly admitting this because I know the people I care about want to see me grow and evolve. But I know I didn’t pull these fears outta nowhere. And I don’t think I’m the only one who feels a subconscious pressure to stay the “same old me”. There’s a lot of cultural kudos awarded to people who become parents (or go through any significant life change) with very little fuss. Sometimes it seems as though you can change a little bit – just not too much. That there’s a socially appropriate way to evolve, and that’s quietly and politely. Play small, be humble, stay in your lane, and don’t draw too much attention to yourself. Whatever you do, don’t rock the boat. Who wrote these crazy rules? And why did I feel compelled to follow them even though everyone I care about wants to see me shine? I think it all stems from a desire to be taken seriously – as a woman and a mother – in a society that’s not always kind to women and mothers. Things are getting better, of that I’m certain. But women are still bombarded by mixed messages every single day. Be this. Do that. Wear this. Look like that. Don’t do this. Act like that. It’s exhausting! No wonder so many women – myself included – feel drawn to prove that we can “do it all”. Because we want to be taken seriously, we want to play big, we want to be respected. And sometimes that can feel like a battle. It’s no wonder that as a new mum, I felt compelled to prove I had it all figured out. I wanted to show that I was ‘holding steady’ despite sleep deprivation, wildly fluctuating hormones, and the overwhelming shock of being completely responsible for a tiny human. When let’s be honest, is there anything steady about becoming a parent? It’s a rollercoaster. It’s only now, nearly nine months into motherhood, that I’m emerging from the newborn fog and realising I don’t need to prove anything to anyone. And oh, what a weight off my shoulders! What a relief to wear my evolving identity with pride, not fear. Because becoming a mother is a HUGE DEAL. It’s deeply life changing. And challenging. And scary. And rewarding. And a thousand other cliches. And of course it was going to reshape my identity. How could it not?